Sign Up For Instant Savings Today! *When finalizing your order on the checkout page, you will see a box labeled Coupon or Promotional Code, enter it there. Coupon can't be combined with other special offers or promotions. Prior purchases are excluded from this coupon. By submitting this request for our instant coupons, you will receive periodic emails with special promotions and coupons. Add extra mobility to your popcorn machine by purchasing a matching cart from the accessories below. Perfect for school events and small office parties! 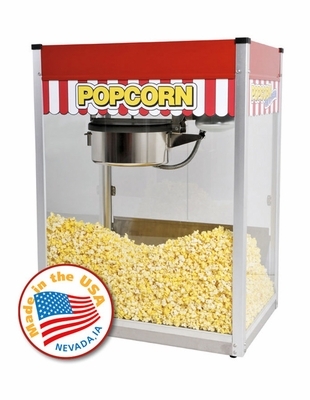 A great addition to theaters of all sizes, a Classic Pop Cart fits 14oz and 16oz Popcorn Machines and provides easy access to popcorn in a quaint, appealing package. 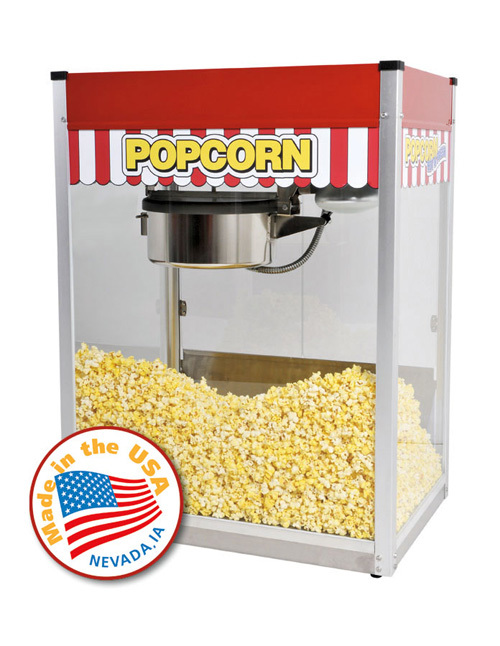 Popcorn Carts offer superior merchandising and a fun way to move an otherwise bulky Popcorn Machine very easily. With an 100% steel frame and chip resistant coating this sturdy Popcorn Cart wont be worse for ware no matter how often you use it. The Classic Pop Cart also features a convenient storage compartment in the carriage and folds down for easy transportation and storage. Fits the 14oz Classic Popcorn Machine.